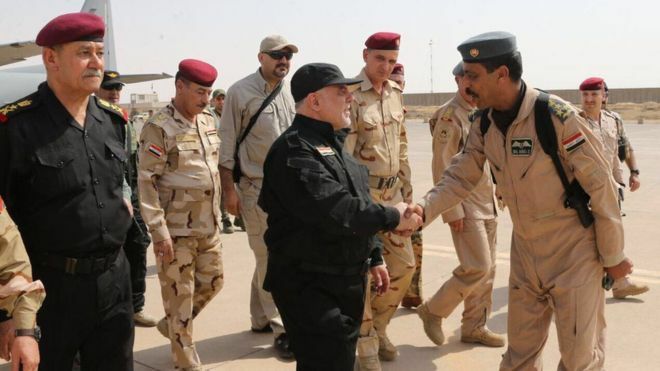 Iraqi PM Haider al-Abadi has arrived in Mosul to congratulate Iraqi forces for their victory over IS in the city. Mr Abadi was in the city to announce its "liberation" and declare "victory", his office said in a statement. Kurdish Peshmerga fighters, Sunni Arab tribesmen and Shia militiamen have also been involved in the battle. 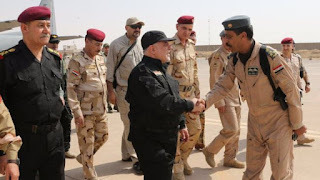 The Iraqi prime minister arrived to "congratulate the armed forces and the Iraqi people" on the final defeat on Sunday, the statement said.